Sugar and Water takes a look at contemporary London life through the eyes of Barka, a 29 year old graduate from the University of Arts London and one of the capital's most challenging artists at the Serena Morton Gallery, West London, from 10th June to 23rd July. 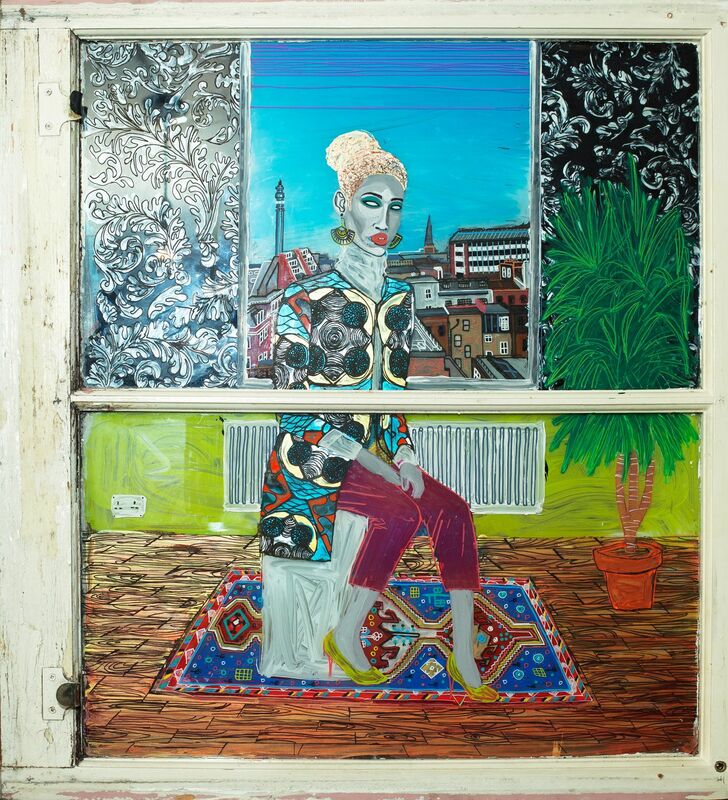 The South London painter gathers discarded windows and doors, products of gentrification, and recycles them into new artworks. The artist has experienced first hand the sense of displacement and disillusionment running through his beloved city during this time of rapid change. 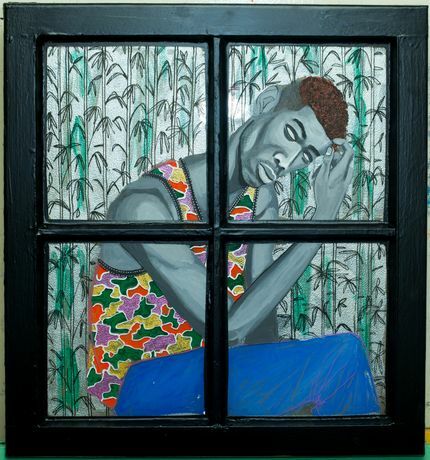 Focusing on Notting Hill, in this exhibition, Barka explores the cultural references, history and legacy of the Afro-Caribbean community and the remaining traces left in the area. Notting Hill is embedded in the hearts and minds of London's Afro-Caribbean community, who established a presence in the borough during the 1950s. Now synonymous to many with carnival and celebration, the early difficulties faced by the community were expressed in the infamous Notting Hill riots of 1958, still very much a part of London's social fabric. 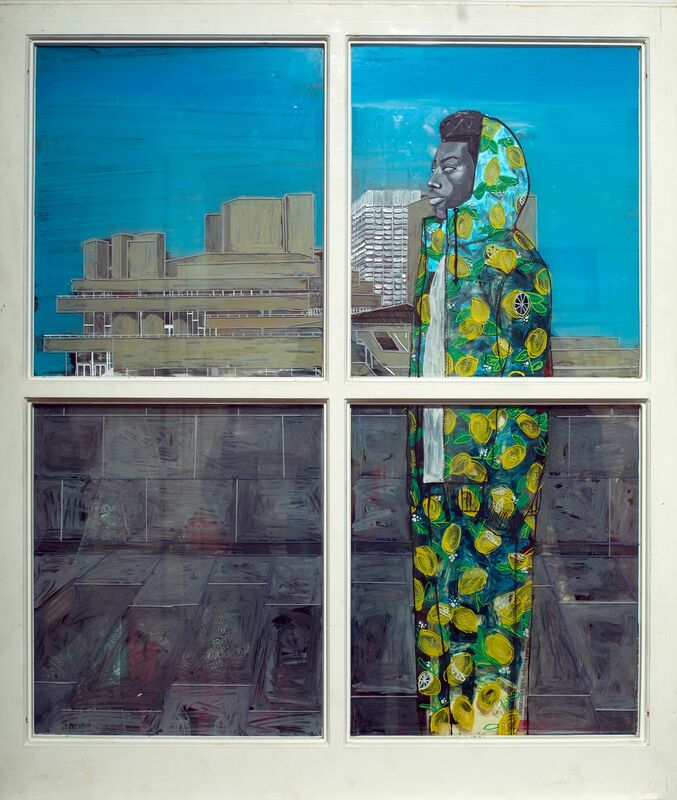 The title, Sugar and Water, is a reference to the mass migration of people from the Caribbean, known for its role in the sugar trade, and the social and historical effects this has had on the Afro-Caribbean experience in the UK today. 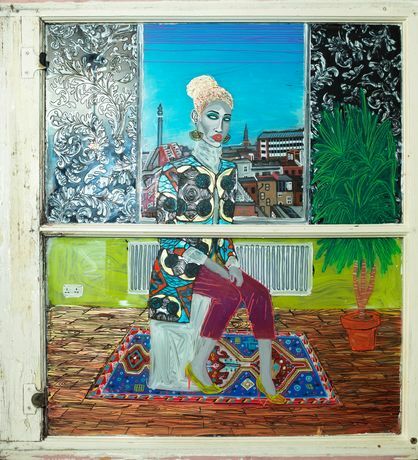 Many aesthetic themes are explored within the series, from fashion to architecture and design. The bright colours of Notting Hill's terraced townhouses are amplified, while experiments with wallpaper and wooden floors offer a take on life within a home. Familiar locations such as vintage clothes shops and the tube station are shown in a fresh light.